How do I disable a Facebook Like requirement on form? The form will not allow submitters to submit their form till they add Facebook page. I don't remember enabling this, and I don't know how to disable it. It is for the 2015 UCLA LGBT studies symposium form. There is a Facebook Like Me First widget at the bottom of your form. 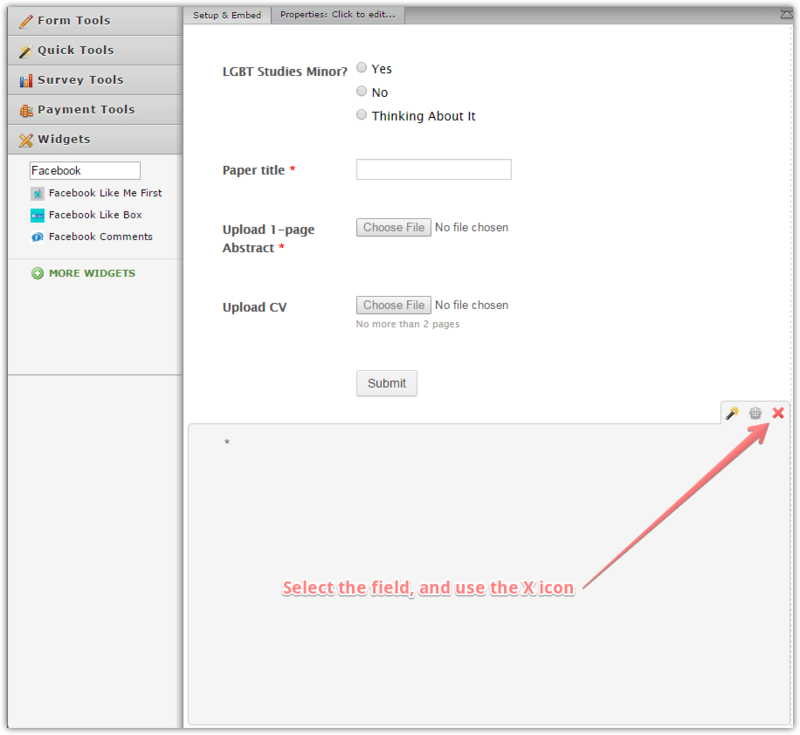 In order to delete the widget, open your form in editor, click on the widget field and use the X icon.